La prochaine séance du aura lieu le vendredi 11 avril, de 10h30 à 12h30, au MNHN, dans le grand amphi d’entomologie, 45 Rue Buffon, 75005 Paris. National Geographic, July 1977. 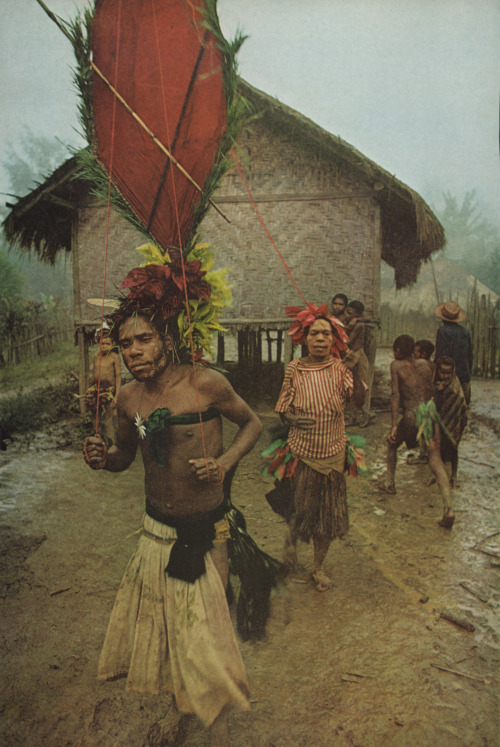 Gimi people of Papua New Guinea: Linked by an “umbilical cord” at a ritual, a young man and his mother dramatize maternal influence, rarely acknowledged publicly.